Can You Become A Ballet Dancer? A career development plan could be all you need to pursue your dream profession. If you want to become a professional ballet dancer, it is crucial to follow the right steps. You might be determined to fulfill your dreams in ballet, but you need to follow a personal development plan and discover the gradual stages to becoming a professional dancer first. Let me guide you through the steps I went through myself and see if you can make your goals a reality. There are talented young dancers all over the world who dream to become a ballet dancer. 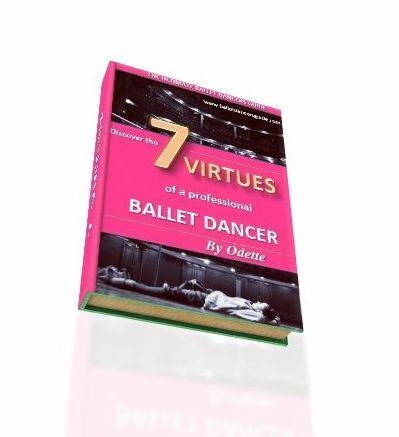 Each one of my Seven Secrets holds the most crucial advice which will bring you into a key perspective to ballet. 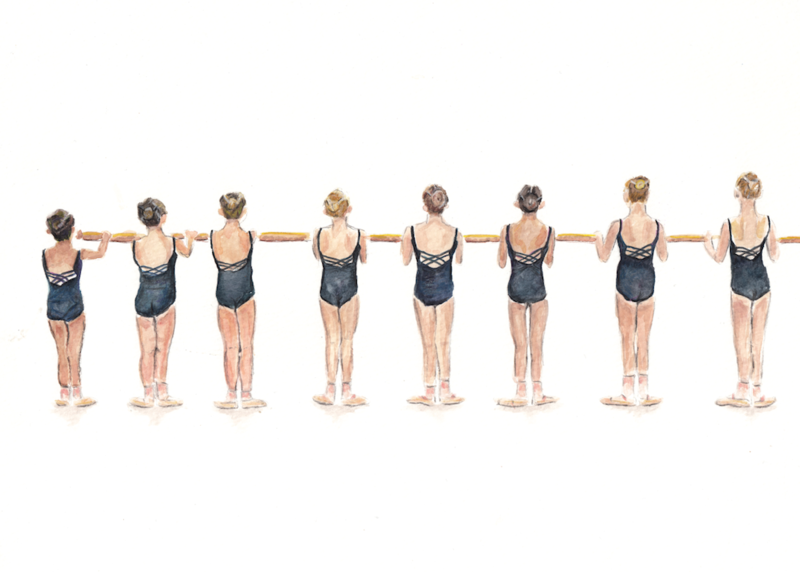 You must remember the golden Seven Secrets to step closer towards your ballet goals. Is it too late? Can I become a Professional? Am I too old? Take a look at the bottom of this Career Development Plan Page‏ to see pages of guidance I have given to dancers around the world. You will be surprised at how many other young dancers have the exact same thoughts as you. Professional ballet dancing requires an incredible amount of determination and self-motivation. It all stimulates from how much you really want it and it's just as important to be mentally skilled, as physically. You've probably heard ballet is very competitive, full of talented dancers who all share the same dream. You have to dedicate your life to from such a young age. If you look at my page on ballet girls, I open up on my experiences within the ballet world and how competitive it can be. If you are serious about becoming a professional dancer, then you need to have a clear vision of what it takes to pursue this profession. Many young ballet dancers take part in worldwide dance competitions in hope to be recognized and accepted into leading dance schools to launch their professional career. You have to train for many, many years before reaching the standards of a professional. It is a very tough process. There are leading ballet schools around the world that offer training for young aspiring dancers, from the early age of 11 right up until 18. The School of American Ballet is a leading example of a top place to train for classical ballet. All talented young dancers who have the potential to become a professional will commit to a career development plan and study at vocational dance schools at some stage of their development. When I was 11, I joined the Royal Ballet School in London and spent 5 years studying here, before completing my training at Elmhurst School for Dance. It's not only ballet you will be required to study whilst training, because I also took classes in jazz dance, contemporary and character dance. It is a huge advantage to be a versatile dancer and it will become a valuable tool as you reach higher into the profession. If you are wondering what someone experiences through their ballet profession, then research their career development plan. You can read about the inspiring male ballet dancers and create your own icons through your journey to reach your goals. Discover where they trained, how they reached a ballet company and what got them where they are now. I like to say New York ballet is the city of dance. It has a renowned reputation in the performing arts, buzzing with ballet schools and companies. There are many stories of ballet at the starting point for many successful stars, such as Sarah Jessica Parker and Alicia Vikander, who both studied ballet before they became actresses. Katherine Dunham was among the first black artists to form a ballet troupe and achieved historic legends in the world of dance. Merce Cunningham had a highly successful dance career and became one of greatest living choreographers, creating a dance software to further his imagination. Bruno Tonioli is now famed for his appearances on dancing shows, with his talents first beginning in ballet lessons. Ballet can lead you into a world of creativity and discipline, as well as bringing out your performance and passion. It's really important to keep an open mind throughout your ballet training, because you never know where it may take you. Odette always likes to hear from you. Don't hold back! All visitors are welcome to contribute to each other's submissions and help each other out. Feel free to join in and solve our ballet mysteries! TO MAKE SURE ODETTE ANSWERS YOUR QUERY, FOLLOW THESE SIMPLE RULES! Please check that your query has not already been solved. You can do this by searching on the site (at the top of each page) and you are welcome to contribute if you find a similar subject matter! Enter Your Title e.g "Career Development Plan - Vocational Ballet Schools?" Career Development Plan -Ballet Dance course dilemma! Career Development Plan - Time To Quit? Career Development Plan - Can I still be a professional ballet dancer? Career Development Plan - How can I choose between two great dance schools? Career Development - Is there any hope for ballet dancers in small town? Career Development Plan - How should I begin dancing ballet? Career Development Plan - Too Late to Commit to Ballet? Career Development Plan - Finding a Private Ballet Teacher? Career Development Plan - How old to start ballet? Career Development Plan - Can I Become a Professional and Still Go to College? Career Development Plan - Realistic ambitions for dance as a hobby? Career Development Plan- Is Pursuing A Professional Career in Dance Possible for Me? Career Development Plan - How do I join a ballet company? Career Development Plan - Accepted into a ballet company? Career Development Plan - Age Limits for Ballet Company? Career Development Plan - What is the oldest to start dancing? Career Development Plan - Can a late start dancer be a teacher? Career Development Plan - Getting back into Ballet - Is it too late? Career developmen plan - Is my plan enough to become a professional ballet dancer? Career Development Plan - Doubt that ballet dancers face? Career Development Plan - Left Behind? Drama queen? Career Development Plan - 18 years old with potential for ballet? Career Development Plan - Will I be good enough for Ballet? Career Development Plan - Too Late to Become a Dancer at Aged 14? Career development plan- Start Ballet Training After A levels? Career Development Plan - Is there a Chance to Become Professional Ballet Dancer? Career Development Plan - Is starting ballet at the age of 15 is possible? Career Development Plan - How to become the Professional Ballet Dancer? 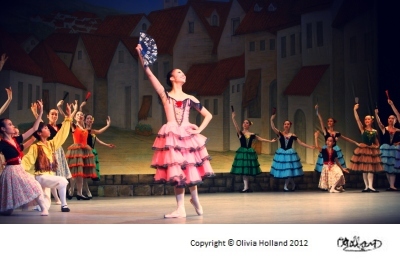 Career development plan- Is Ballet Possible at Aged 14? Career Development Plan - Ballet Path? Career Development Plan - What Are the Choices For Professional Ballet? Career Development Plan - To Dance Professionally at 19? Career Development Plan - Should I take the path for Professional Ballet? Career Development Plan - Will I have a chance to dance? Career Development Plan- False Hope in Ballet? Career Development Plan - Possibility of Disappointment. Career Development Plan - Proportions For Ballet? Career Development - My Body is in the Way of My Passion. Career Development Plan - Is it too late for me? Career Development Plan - My Body Size in Ballet? Career Development Plan - What should I study? Career Development Plan - Realistic Dreams? Career Development Plan - Ballet as Hobby or Profression? Career Development Plan - Still Become Professional Dancer at Aged 14? Career Development Plan -Too Late To Pursue a Dance Career? Career Development Plan - Weight? Height? Career Development Plan - Energy to Keep Dancing? Career Development Plan - Hope For a Career in Ballet? Career Development Plan - Is it too late and what do I take? Career Development Plan - Too Late To Train for Professional? Career Development Plan - Is this safe? Career Development Plan - Too Late to Join Ballet? Ballet Exercises - How Do I Get Started? Career Development Plan - Too Old to Start at 21? Career Development Plan - Too Old to Start Ballet? Career Development Plan - Where do I go from here? Career Development Plan - Too Old for a Career? Career Development Plan - How Do I Start My Career? Career Development Plan - Too Late For Ballet and Pointe? Career Development Plan - Chance of Professional? Career Development Plan - Too Old to Begin Ballet? Career Development Plan - Too Late To Consider Ballet Professionally? Career Development Plan - Pursue Ballet? Career Development Plan - Classes for a teen beginner? Career Development Plan - Never Danced, But Want To Become Professional? Career Development Plan - Am I Too Fat? Career Development Plan - How To Feel Better About Myself? Career Development Plan - Which School to Choose? Career Development Plan - How To Skip Grades? Career Development Plan - What can I do to audition? Career Development Plan - School of American Ballet? Career Development Plan - When to Start Auditioning? Career Development Plan - Should I Switch Studios? Career Development Plan - Nowhere To Go? Career Development Plan - Too Late To Take Dance? 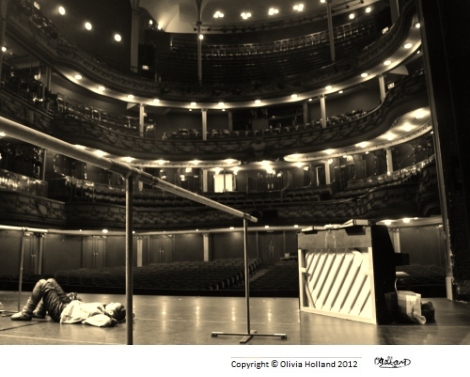 Career Development Plan - Too Late to Dance Professionally? Career Development Plan - How can I continue? Career Development Plan - Is it too late? Career Development Plan - Should I Join Ballet? Career Development Plan - Am I Just Dreaming? Career Development Plan- Am I too tall to dance? Career Development Plan - What is a vocational school? Career Development Plan - Too late to become professional ballet dancer? Career Development Plan - Where do I start? Career Development Plan - Too late to start training? Career Development Plan - What level should I be at? Career Development Plan - Too late for me to start ballet? Career Development Plan - Too late to choose ballet as a career? Career Development Plan - Can I still become professinal? Career Development Plan - What should I do to become a professional ballerina? Career Development Plan - How do I fulfill the dream? Career Development Plan - What if I have never done ballet dancing?